For your someone special! Give the gift of coffee this year. This gift box includes: 2 – 12 oz. bags of coffee and a 3 oz. 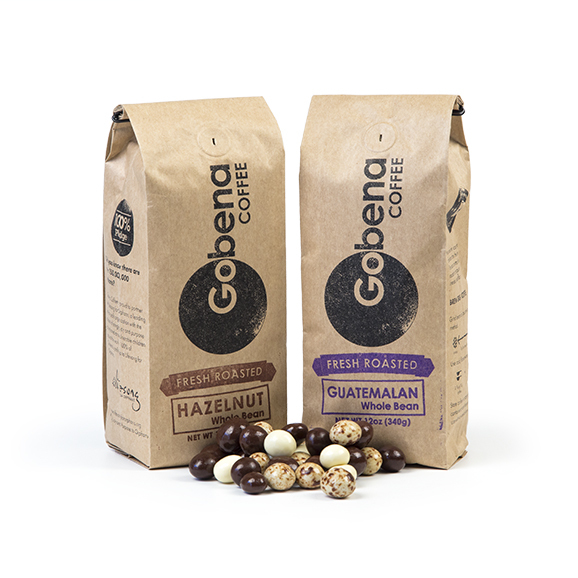 bag of chocolate covered espresso beans, all packaged inside our hand-stamped Gift Box. *during summer months, chocolate covered espresso beans will be replaced with fresh roasted salted almonds.